This past weekend we all went to Las Vegas to celebrate Maranda turning 21. It was fairly warm weather (better than Utah for sure!). 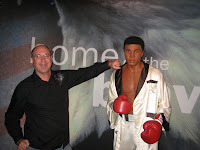 We went to the wax museum at the Venetian hotel and walked the strip. It was so much fun!! 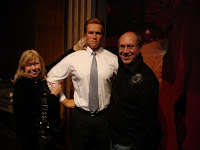 Mom and Dad with Arnold Scwharzenager. 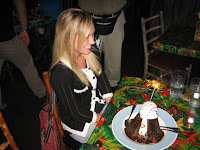 For Maranda's birthday dinner we went to the Rainforest Cafe. There is the HUGE dessert called "The Volcano". All four of us couldn't finish it! It was a wonderful weekend!! How fun! Isn't it nice to escape to the warm weather locations during the cold months. 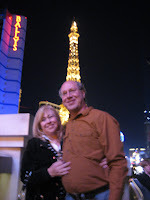 Lance and I went for his birthday a couple years ago... July 31st birthday equals 115+ degrees... ugh!